In case you&apos;ve been living under a rock today, Meghan Markle and Prince Harry are engaged. It&apos;s kind of a big deal: Britain&apos;s most eligible bachelor is off the market; Meghan will retire from acting (and her notable role on Suits) for a life of charity work and endless public appearances; it will be the most high profile Royal wedding since Prince William and Duchess Kate wed back in 2011; and Meghan will be the first divorcee to marry into the Royal family in over 80 years. Not bad for a Monday! Being that Meghan lived in Toronto for fived years while filming Suits, its no surprise that she&apos;s a fan of a few local labels, and chose a coat from North York-based designer LINE the Label for her appearance with Prince Harry during the official engagement photo call at Kensington Palace earlier today. 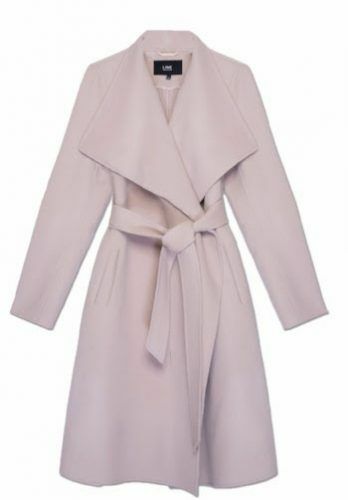 The dressy trench features a knotted waist and oversized collar, and retails for $799. The exact jacket is currently sold out (surprise surprise), but LINE is accepting pre-orders of the "Meghan" coat via email at line@nkpr.net.